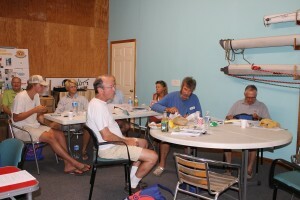 Boaters really enjoyed Deltaville Yachting Center’s 2016 Boaters’ Boot Camp Classes! From in class learning to hands on practice, if you’re not comfortable with your vessel this is a class to take! Two class options for 2017: 5/20-5/21/17 OR 6/17-6/18/17. A little more about the class…. Richmond Sail & Power Squadron will be offering their BOATERS’ BOOT CAMP at Deltaville Yachting Center twice in 2017 (see dates above). Squadrons, the largest and most widely respected boater education organization. chartplotter functions to improve the safety of your trip. The basics of RADAR operation, MARPA and collision avoidance will be covered, as well as the use and benefits of AIS receivers and transceivers. Students will get hands-on experience operating all of these devices and more. The installation of DSC/VHF radios has become commonplace, but many boaters don’t understand how to use the DSC functions. 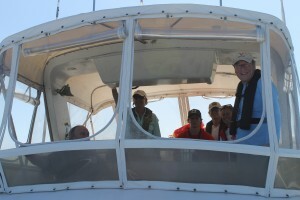 In this class, you will use a demonstrator unit to place and receive calls, then aboard trainer’s boat, practice using the DSC radio functions. Additional classroom topics will include on-board weather forecasting and navigation using portable electronics (smartphones, tablets). Learning how to obtain and interpret weather information, identify dangerous weather, predicting storm movements and risks can greatly improve your safety on the water.